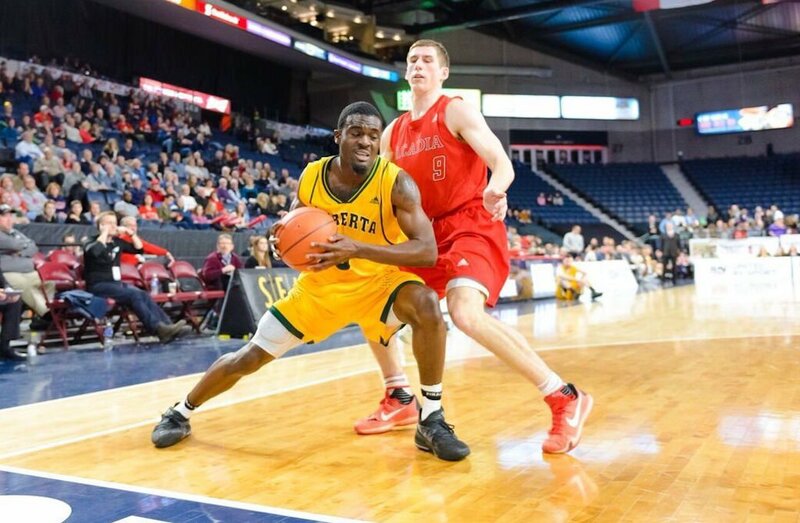 The Acadia Axemen earned a come-from-behind 92-87 win over the Alberta Golden Bears in consolation semifinal action Saturday evening in Halifax. 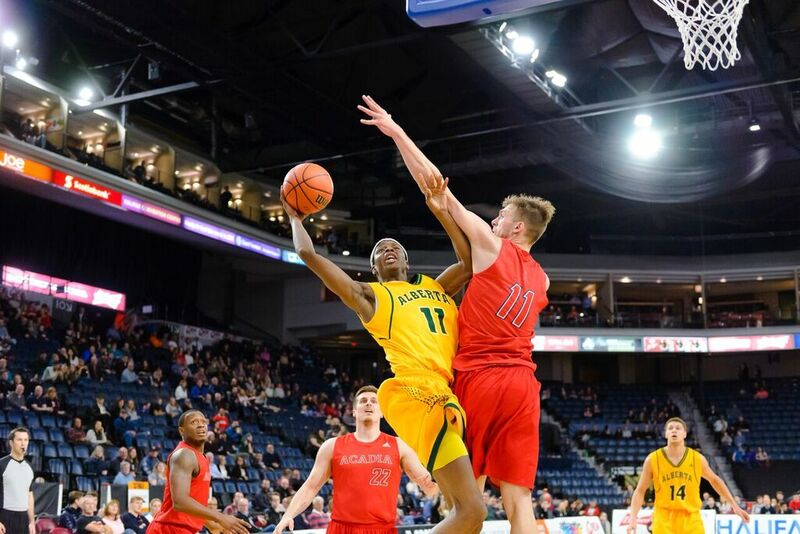 Trailing the Golden Bears by as many as 15 points early in the first two quarters, Acadia fought back to within seven to make the score 52-45 at halftime on a three-pointer by Mason Middaugh. Alberta shot 50 per cent from the floor in the first half and made 11 threes. 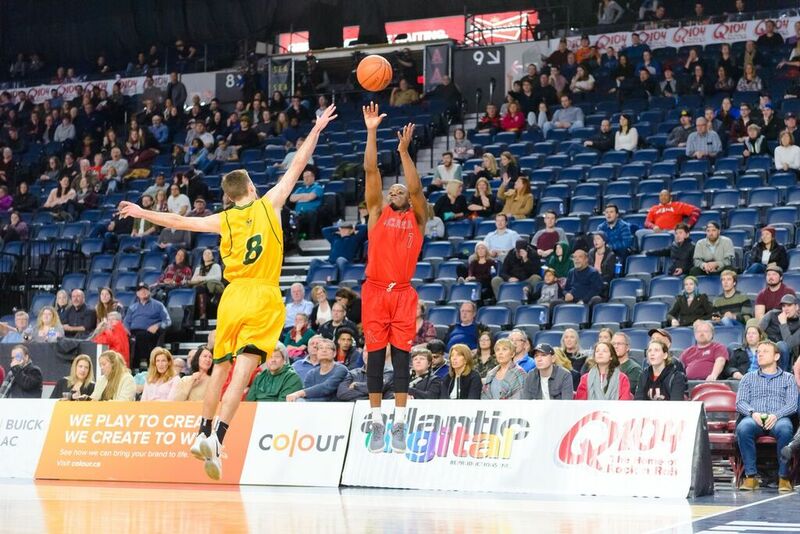 The Axemen kept pace, shooting 38.6 per cent and making eight threes of their own. Acadia started their comeback in earnest in the third and took a 59-58 lead near the midway mark of the quarter on a Nick De Palma three-pointer. Both teams traded points the rest of the way and were knotted at 68 to start the fourth. The Axemen took the lead for good at 85-83 on a pair of Trevon Grant free throws. De Palma nailed his second three, good for his eighth point of the fourth quarter to put his team up by five. 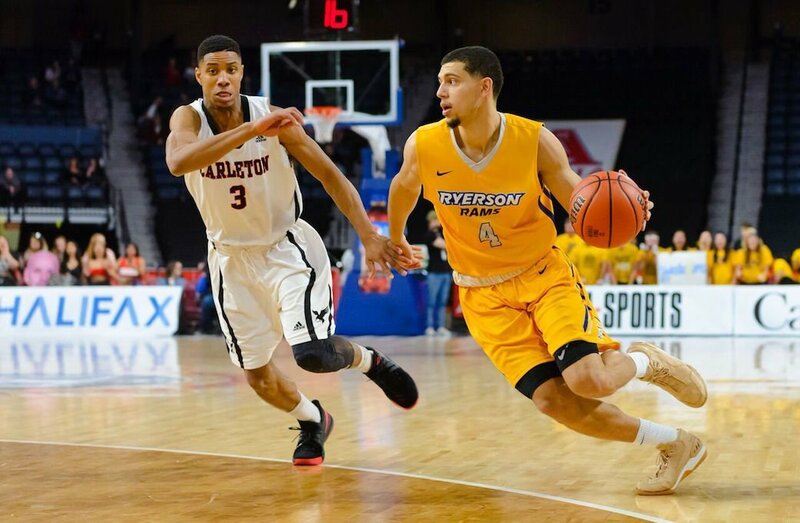 With the score 90-87, Erik Nissen batted the ball away from an Alberta player into the hands of Ben Miller who was fouled and calmly sank both free throws with 14.3 seconds on the clock to seal the victory. De Palma earned Player of the Game honours for Acadia with 24 points, including six of eight shooting from beyond the arc. Nissen added 23 points, six rebounds and four assists, while Miller contributed 17 points, five rebounds and 10 assists. Alberta, shot 49.3 per cent from the floor and made 12 threes. Austin Waddoups finished with a game-high 26 points, including four threes and was named the Golden Bears Player of the Game. Geoff Pippus added 14 points, while Mamadou Gueye and Brody Clarke had 13 points apiece. Axemen head coach Kevin Duffie noted the character his team showed. De Palma’s shooting was key to the win, but so was Miller’s pinpoint passing that left his teammate with numerous open shots. Acadia moves on to face Brock in the consolation final for fifth place on Sunday at 11 a.m. ET/8 a.m. PT.